With a history both as dramatic as it is fascinating, Kosovo’s residents are welcoming people with a joie de vivre. Your stay in Kosovo will be punctuated by cultural and artistic discoveries, particularly in Pristina, the capital city marked with Turkish architecture. Do not miss a stroll through picturesque Ottoman neighbourhoods. The city of Prizren will unveil beautiful Orthodox churches, and in south Peja, the Visoki Decani Monastery is well worth the visit. The backdrop of mountains covered with pine and chestnut forests is the pinnacle of the country. 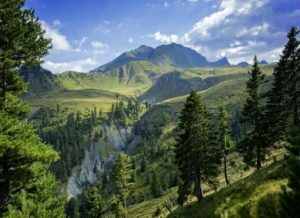 Beyond these attractions, Kosovo is home to beautiful natural sites such as the Rugova Mountains, ideal for hiking and trekking. Unfortunately, quality for medical care in public hospitals in Kosovo is among the lowest in Europe. This is due to poorly equipment services and rudimentary infrastructure. Medical staff also lacks the ability to speak other languages, which can lead to miscommunication. Private hospitals are available at a high cost. If you become seriously ill during your trip, it is worth requesting for a medical repatriation in order to avoid further complications. The national health system is based on a network of family doctors and nurses, which provide each family with basic care. Although the country offers numerous well-supplied pharmacies, do not forget to bring basic pharmaceutical products with you. You can contact emergency services by dialling 112. Is Kosovo Safe for Travel? Only a passport is required to enter Kosovo for trips under 90 days. The passport must be valid for at least six months beyond the date of departure. Please note that this is the website for the Canadian Embassy in Croatia. There is no Canadian government office in Kosovo.